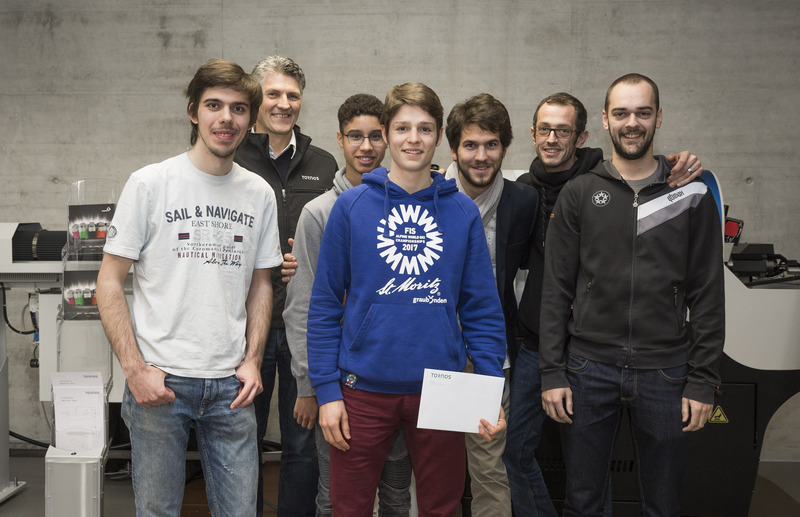 As part of its i-moutier incubator, Tornos organized a competition in which students from technical schools throughout the Jura Arc region could work together. Thirty students from around 10 schools took part in the first edition of the competition, which is set to become an annual event. The aim: to enable them to work on a concrete project to create a "workpiece recovery system." The best project would then be brought to fruition in collaboration with the company's technical departments. During a meeting a few months ago in collaboration with #bepog—the project to promote technical occupations supported by arcjurassien.ch—the heads of technical schools and educational centers from the four cantons of the Jura Arc region (Bern, Jura, Neuchâtel and Vaud) came together in Moutier to discuss the project. They very quickly agreed on a course of action. All expressed a strong desire to give young people a chance to experience a real, concrete project, to work with others and, above all, to encounter "real-world" constraints. This first edition of the Tornos competition took place over two days. After a tour of the company, the students were organized into working groups for the competition and given the brief. They then received creativity coaching to enable them to come up with innovative solutions. The rest of the day and the following morning were spent focusing on their projects, with the knowledge that they would have to defend their solutions. A panel of experts from Tornos and the technical schools then judged the projects against a set of criteria including originality, feasibility, industrialization potential and cost. It is still too early to say whether the chosen solution will go into production. The participants came from CEJEF (Porrentruy), CEFF (Saint-Imier), TFS (Bienne), CAAJ (Moutier and La Chaux de Fonds), CIFOM (Le Locle), CPLN (Neuchâtel), ETVJ (Le Sentier) and HE-Arc (Neuchâtel). They included students in Swiss Federal Certificate CFC) courses, technical students from the graduate schools, and future engineers. The fields of micromechanics, mechanical construction, automation, microtechnology, electronics and IT were all represented. Anne Hirtzlin, Project Manager of the i-moutier incubator, explained: "We are located in the heart of the microtechnology market, and with the incubator we are really hoping to help young entrepreneurs develop their skills in the precision and microtechnology sectors. The competition between the technical schools is a step in that direction: It gives young people the opportunity to work on concrete projects for industries in our region." From the teachers' point of view, the aspects of "working together" and "on a very concrete project" were highlighted as the benefits of the competition.